What is the Parent Volunteer Service Award? Pitzer parent volunteers donate their time and talent to Pitzer College in many meaningful ways, including but not limited to organizing, staffing, and hosting special events, welcoming new parents, participating in internship and mentorship opportunities, speaking to the Pitzer community, and other special projects related to their interests. Parent volunteers have committed themselves to advancing students’ futures and have bettered the College through their commitment to our mission and core values. 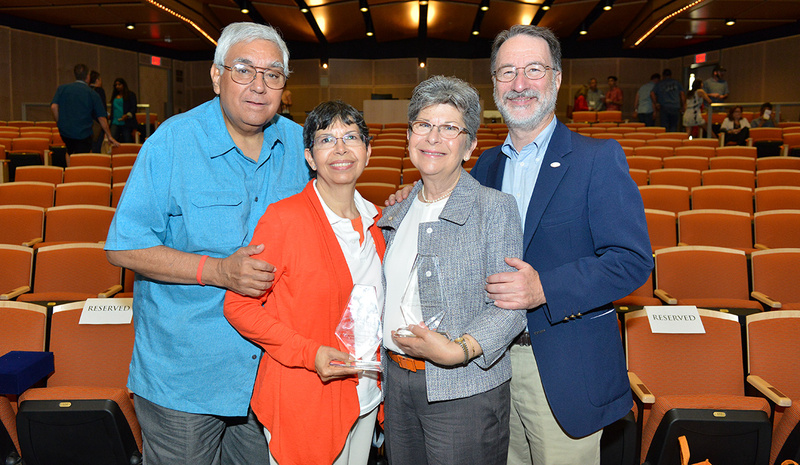 This award seeks to celebrate volunteerism and honor those that shine brightly within our Pitzer parent community. All current and former Pitzer parents with the exception of current members of the Parent Leadership Council are eligible. To nominate a parent volunteer for the Parent Volunteer Service Award, please complete the online form. The deadline to submit a nomination for the 2019 award is November 14, 2018. The award will be presented on Saturday, February 16, 2019 during Family Weekend. Learn more about the Parent Ambassador Program.